Atm. 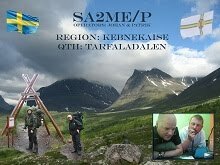 there are no upcoming events or expeditions planned by SA2ME-radiogroup. But keep on having an eye on this page since this soup might start boil at any time again. BJM working 10m pileup and BJF not working at all. 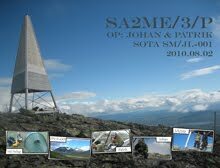 OJ0/SA5BJM during pileup 10m from Sam Stonestream on Vimeo. OJ0/SA0BJF working stations. Not. from Sam Stonestream on Vimeo. If you follow this link you'll get to Soumen Majakkaseura's homepage. There you can read the thoughts the crew of Market Reef had about our expedition. 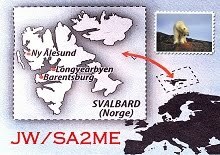 OJ0/SA-expedition is now QRT and back at home-QTH. Tnx for all QSOs, aprx 3k+ in log. Stay tune for pics. A big and special thanks to the crue on Market Reef for the warm and friendly hospitality and extremly god food. Fr. left: SA5BDS Patrik, SA5BJM Johan, SA5BCG Magnus & SA0BJF Leif. 22:06 - Text message to BJM-YL "There"
23:05 - Phonecall to BJM-YL "Everything and everyone is just fine! Soon we'll be active"
On the 30th of june till 2nd of july, SAME is going on a trip till OJ0 "Market reef". 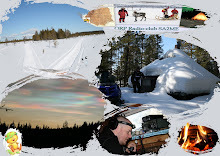 We will be QRV on 80-2m. all modes. 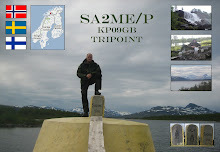 On this trip there will be four operators working the bands 24-7: SA5BJM, CW; SA5BCG, digital/SSB; SA0BJF, digital/SSB; SA5BDS, SSB. We will run the show as a multi/multi-station. Callsign used OJ0/SA... More information about QRG will be posted on this website. If you have a special request, pse contact us via e-mail - mattsson_j@hotmail.com - at the latest on june 28.